Stefan Ogrodzinski received his BSc (Hons) in Toxicology and Pharmacology from The School of Pharmacy, University College London, in 1987 and his MBA from De Montfort University in 1999. Stefan's career has spanned the pharmaceutical industry, the healthcare sector, the voluntary sector and the educational sector, giving 25 years of sales, marketing, management and directorship experience. In 2000, Stefan founded BioStatus and since that time has led the company as its CEO. BioSuspensions was spun out of BioStatus in 2008. As a founding Director of BioSuspensions, Stefan is responsible for the early stage fundraising, direction and strategic management of the business. Stefan is also a Director of OncoTherics, BioTherics, BioCity Group, MediCity and Mobius Technology Ventures. He sits on the advisory panel for the Centre for Doctoral Training in Targeted Therapeutics and Formulation Science at Nottingham University. 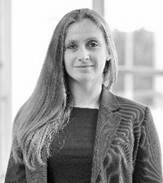 Lisa is a scientist and accountant with over 15 years’ experience of R&D activities in the private and public sector. Six years at PwC developed her commercial and business acumen; her most recent role as an R&D specialist was to help corporate clients access R&D tax relief and grant funding. Her other roles within corporate tax advisory, tax compliance and statutory audit have given Lisa broad financial experience and good understanding of issues for micro SMEs through to large enterprises. Prior to qualifying as a Chartered Accountant, Lisa was the Innovation Strategy Manager for the East Midlands regional government, managing a £5m R&D grant programme. She also managed the sector innovation team with oversight of four innovation networks including Life Sciences. She has extensive UK and European grant experience as a grant recipient, grant auditor, grant proposal writer and grant fund manager. Lisa has a strong personal track record in leading and writing funding proposals with over £3m of grant funds secured, holding the record high scoring bid whilst at Pera Innovation. Her first hand R&D experience comprises of a PhD in cancer research and regenerative medicine and post-doctoral work for a stem cell technology start-up company. Lisa is the Innovation Lead for BioSuspensions, responsible for all aspects of innovation and business planning for BioSuspensions' novel structured suspension technology SpheruliTEK™ including assessing market opportunity, competition, economic impact and financial valuation. Neil received his Ph.D from the Department of Chemistry at the California Institute of Technology, USA (1997). He returned to the UK to work for Cobra Therapeutics to research the biophysical and biological problems of human gene therapy. Neil has published a number of journal articles in the area of medical biophysics and in 2007 was nominated for Regional Citizen of the Year for his work on nanoTherics! Neil currently works part-time as a Post Doctoral Researcher at Keele University, UK where he is applying his broad knowledge and experience in biology, biophysics and chemistry to a project developing novel electronic hyperthermia instrumentation, nanoparticles for hyperthermia, and magnets for targeting the cell biology. Neil provides BioSuspensions with development expertise, helping drive forward a number of new initiatives and research projects for the company. 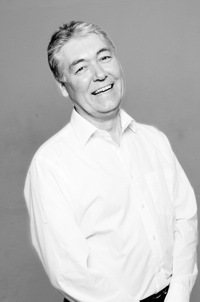 Michael Leyland is a widely experienced, senior finance executive specialising in guiding early biotech start-up companies. 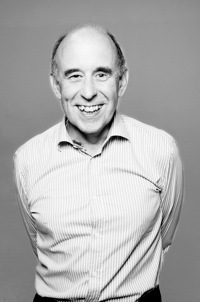 Mike graduated from Kings College London with a degree in Chemistry, before taking an assistant manager's position at Thomson Mclintock & Co (now KPMG). After qualifying as an accountant with the Institute of Chartered Accountants, he moved to British Leyland to take up a position as Financial Accounting Manager. He then moved to Glaxo where he worked for 16 years in a variety of senior positions including FD for Glaxo Export Ltd, FD Glaxo Companies Singapore, Group Deputy Treasurer and Director of Administration Glaxo Wellcome plc (Geneva). In the last 10 years, Mike has served as the Director of European operations for A. M. Pappas & Associates. Mike brings a wealth of expertise to BioSuspensions, both as an executive and non-executive director of OFEX and other private companies and major subsidiaries of Glaxo world-wide. He is a valuable member of the BioSuspensions team offering financial and strategic support to the company. Professor Laurence Patterson obtained his BSc (hons) in applied biology from the University of Hertfordshire and his PhD in the area of medicinal chemistry from King's College, London. He subsequently spent several years in the pharmaceutical industry before taking up a post at De Montfort University, Leicester where he progressed to Prof of Pharmaceutical biochemistry and then on to Professor of medicinal chemistry and Head of the Department of Pharmaceutical and Biological Chemistry at The School of Pharmacy, University College London. 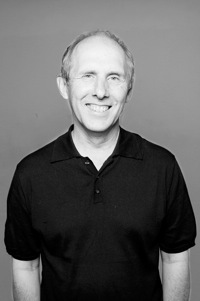 Laurence is responsible for the discovery of AQ4N. 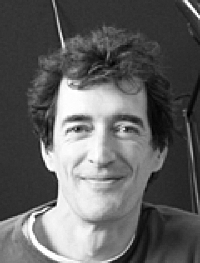 Currently, Laurence is a research Professor and former Director of the Institute of Cancer Therapeutics (ICT), University of Bradford. The ICT builds on 30 years of highly successful cancer pharmacology research in Bradford which, under Laurence's leadership has advanced new medicines discovery in the UK. 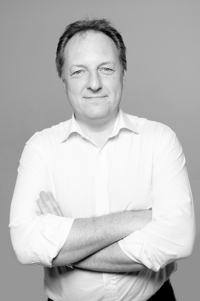 Laurence brings a good deal of technical and commercial expertise to the team along with a vast International network of contacts in the company's key market areas. He is able to offer expert advice and technical support. Professor Paul J Smith received his BSc in Medical Microbiology from the University of Bristol in 1974, and received his PhD in 1977 from the University of Manchester for studies on cellular radiobiology at the Paterson Institute, Manchester. He has been active in the field of cellular responses to DNA damage for over 20 years. Between 1977 and 1979 he was a NERC (Canada) Research Fellow in the Biology Branch of Chalk River Nuclear Laboratories (CRNL) Canada and later as a research scientist funded by the US National Cancer Institute investigating DNA repair in persons genetically predisposed to cancer. In 1982 he joined the Medical Research Council Centre (Cambridge, UK) and as a senior scientist led a programme directed towards the identification of factors controlling cellular sensitivity to DNA damage. In 1995 he was appointed to the new Chair of Cancer Biology at the University of Wales College of Medicine. He is also a past President of the International Society for Analytical Cytology (ISAC). In addition Paul is extremely well known on the International research circuit, and is highly respected by key opinion leaders all over the world.